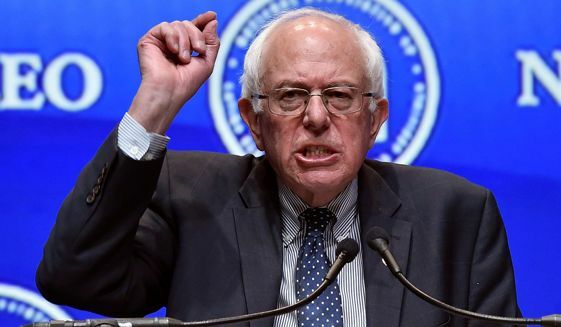 One of the most excruciating aspects of the recent election cycle has been the lionization of Bernie Sanders by crazed millennial know nothings. If you speak to a Sanders supporter, they will refer to the senator from Vermont as if he is some larger than life figure who doesn’t bend to the status quo and won’t take cues from anyone except for the people. The kind of straight shooter we need to fix Washington. Right? Not only is Bernie not the solution to fixing Washington, he is Washington. He embodies everything that is currently wrong about the last 7 years of Democratic rule. This is the exact same rhetoric Democrats have been preaching for decades. The only difference here is that he doesn’t try to hide it by misleading the people into thinking he is a responsible spender like so many of his liberal colleagues choose to do. No rational person can look at a country that is almost $20 trillion in debt and say that the solution is $18 trillion in new spending. The incredibly weak Democrat field leaves Bernie with a shot at the nomination which would surely set the Democratic party back for years once these regressive ideas start to gain more media attention. From what I have seen and heard, I truly believe that the Millennials are completely clueless about what a Socialist like Sanders stands for. To them, the generation which has been thoroughly brainwashed by liberalism, Socialism is something that is “cool” and has been taught as the anti-establishment, anti-capitalist point-of-view. This way of thinking is extremely dangerous. It is frightening to think that this sort of blind acceptance without any true knowledge, which is exactly what got Obama elected twice, is the same thing that will get either this blow-hard or the mother of all blow-hards, Hillary Clinton, elected next November. This country is being crushed by our own debt, and as history has proven on more than one occasion, the only logical next step is a complete collapse of the dollar. Bad times await us if we continue this reckless spending and taxation of the middle class.